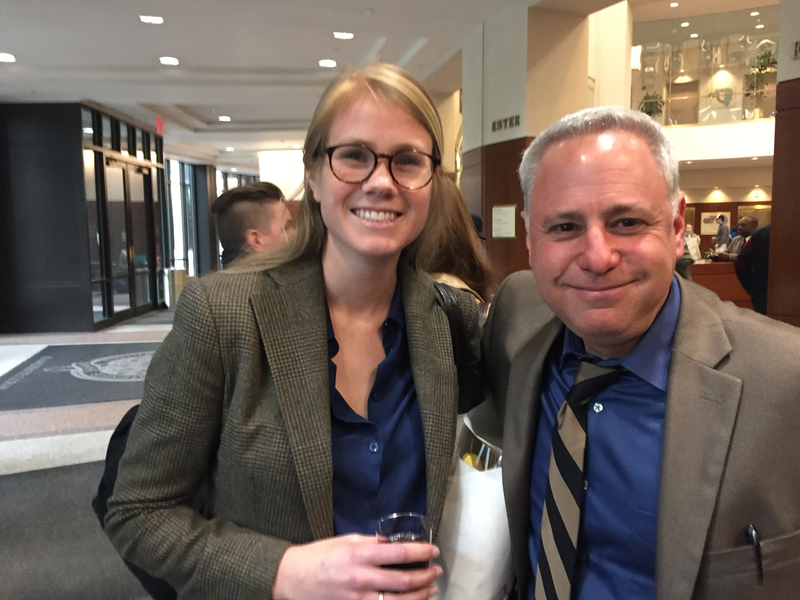 Last week the Fordham Graduate School of Arts and Sciences (GSAS) held their annual award ceremony for winners of fellowships and prizes administered internally at Fordham. 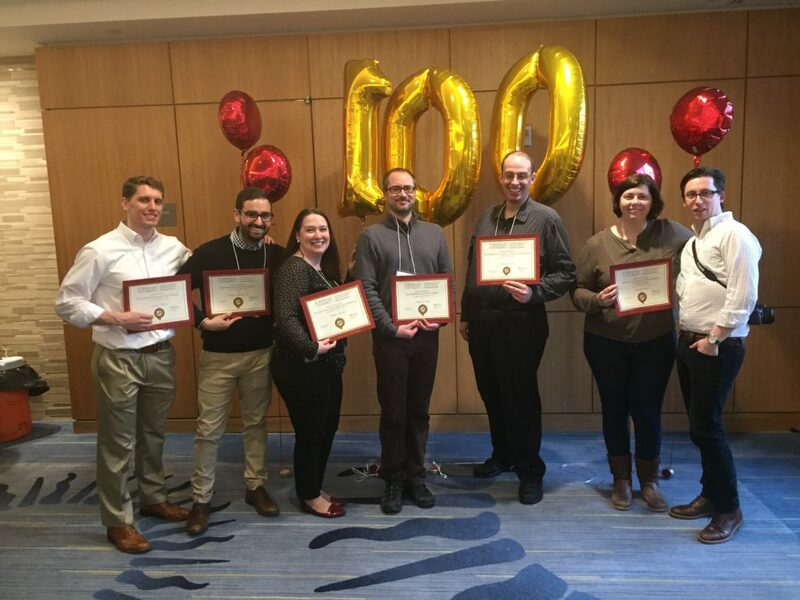 This year’s was a special ceremony, as the GSAS also celebrated its Centennial. GSAS Dean Eva Badowska spoke about the history of the Graduate School and unveiled a digital timeline of its history. Read on to find out more about our award winners in 2016 & 2017. My project focused on the Everglades in South Florida, specifically the way in which members of Congress have thought about that landscape over the course of the second half of the twentieth century. As the people who mark the boundaries of land that will be preserved, I believe that congressmen’s perceptions of land, ecosystems, and the environment in general are an important aspect of conservation history. I became interested in the Everglades because I enjoy analyzing the contradictory (or balanced, based on your perspective) way that Americans have managed land. 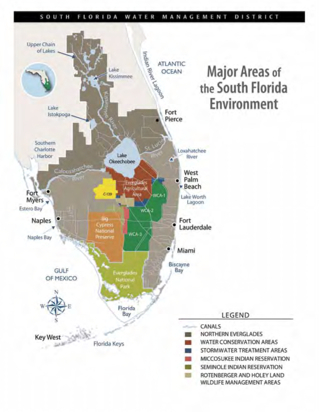 For example, large portions of the Everglades are being protected because of its distinct environment. At the same time, however, vast tracts of the Everglades have been altered and manipulated for commercial reasons. I think that attempting to understand why certain types of landscapes are managed in these divergent forms is not only important to a historical understanding of the United States but also relevant to the environmental movement going forward. Professor Stoll was an excellent mentor throughout this project. At times he pushed me to think more critically about certain aspects, at other times he knew exactly what text I should read to gain more insight. I think he was most helpful when I was I was still developing my ideas. It can be really difficult to find the right project that can be completed in about a semester and half. Professor Stoll really helped me tailor my ideas so I could deeply investigate this one important aspect of the Everglades. Congratulations on the O’Connell Prize Grace! 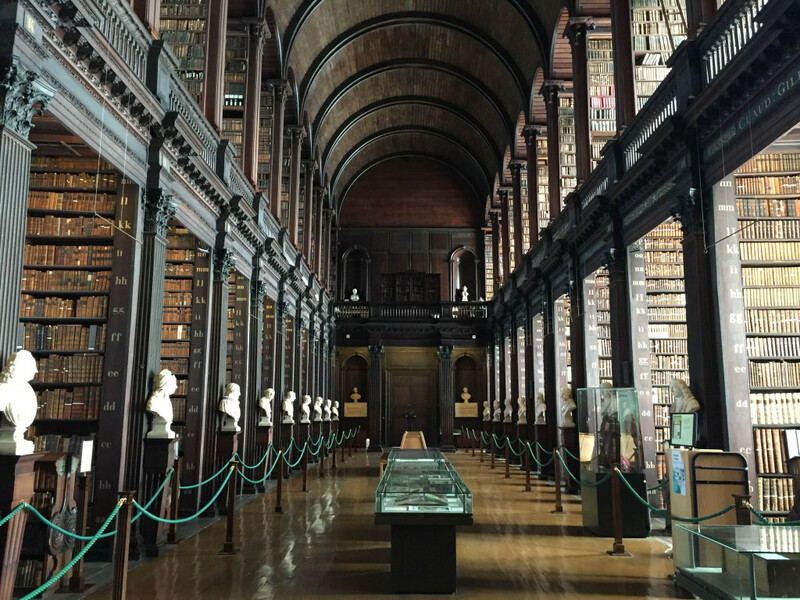 The “Long Room” at Trinity College Dublin. Researcher perk: going behind the ropes. In addition to holding prestigious external awards, such as the Fulbright fellowship, the Schallek Fellowship of the Medieval Academy of America, or awards associated with particular regions and countries, and in addition to Fordham’s own Distinguished Fellowships, the History Department offers funding for a semester’s work in the archives that we call the Archival Research Assistantship. 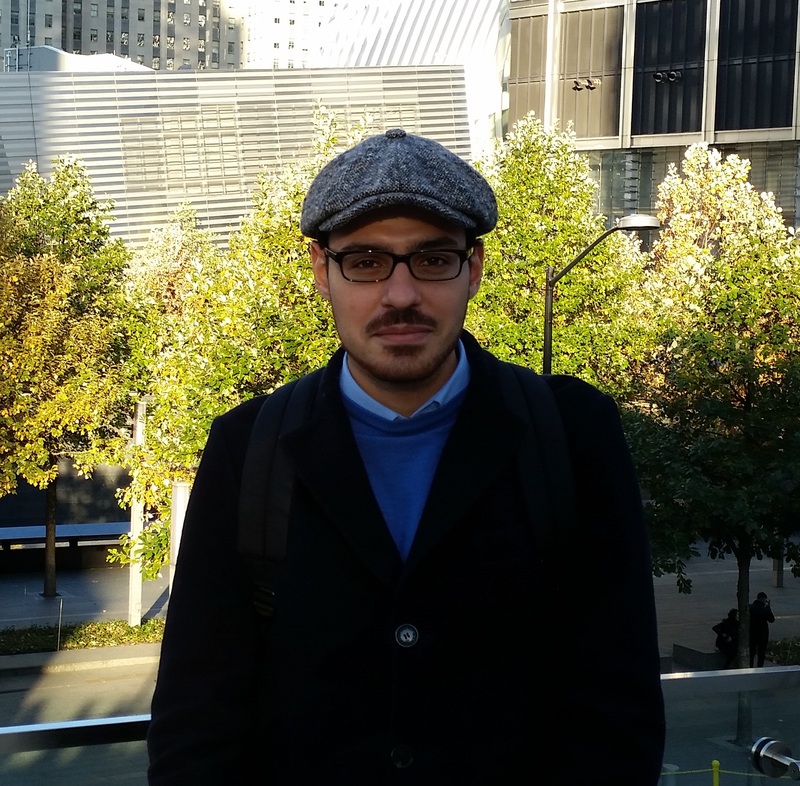 This year’s inaugural holder of the Archival Research Assistantship is Sal Cipriano. A historian of universities and the state in the Early Modern period, Sal wrote to us from Dublin, where he is on the second leg of his overseas journey, to tell us about his work in the archives and libraries of Scotland and Ireland. Every year, Fordham graduate students head to the archives to pursue their research projects. 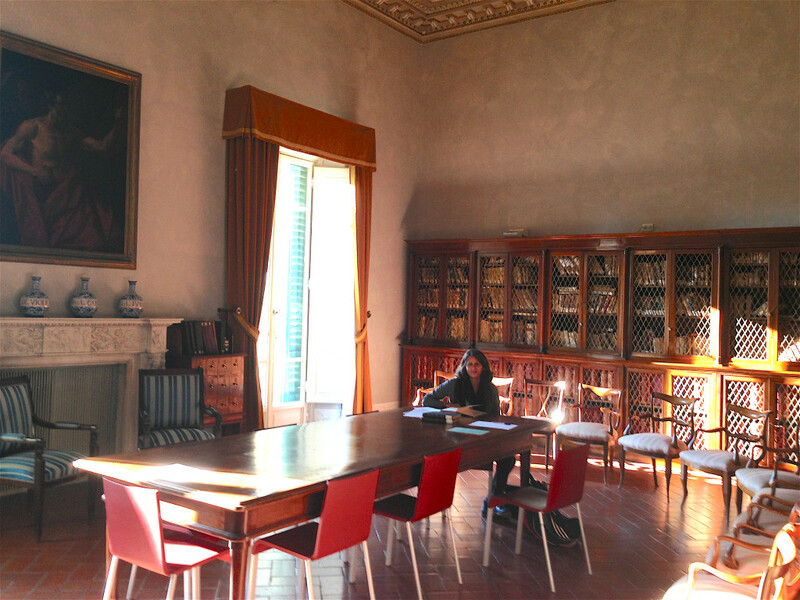 We wrote to Stephanie De Paola, holder of the Graduate School of Arts and Sciences Research Fellowship, for an update on her work in both Italian and American archives for her dissertation, An Intimate Occupation: Race, Gender, and Sexual Violence in Occupied Italy and Post 1945 Memory. Read on for Stephanie’s postcard from the archives. Each year the History department awards its highest honor for excellence in graduate scholarship, the Loomie Prize. The Loomie prize is awarded to the best seminar paper produced during the previous academic year. All M.A. and Ph.D. students who have taken the proseminar/seminar sequence or a research tutorial are eligible. The prize for 2015 was awarded to Rachel Podd and Christine Kelly. 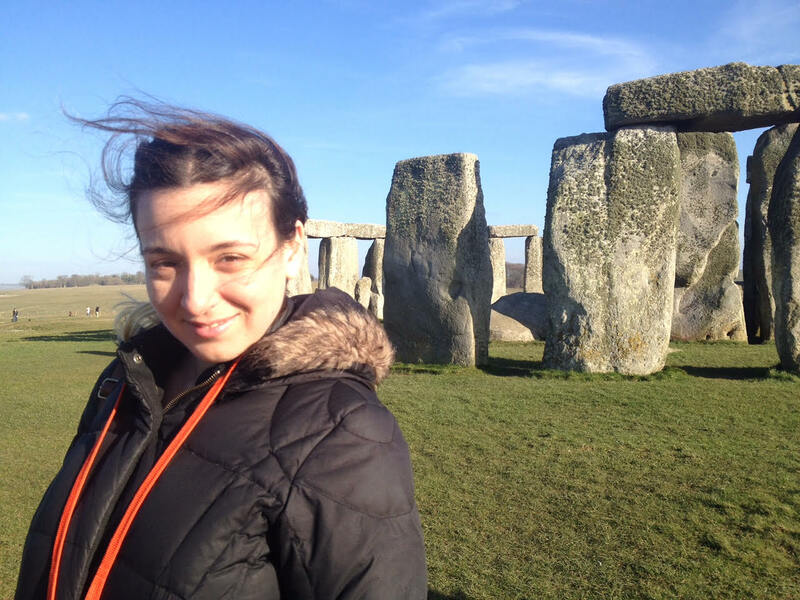 Rachel Podd‘s paper “Interrogating the Guaridoras: Women, Medicine and Magic in Catalonia before the Plague” was written under supervision of Alex Novikoff. The Loomie judges noted that it was based on rich source material, and offered a convincing argument about why and how these sources could be useful to scholars beyond those who specialize in 14th century Catalonia. Rachel wrote that “these documents offer a window… into a vibrant and dynamic world. Within them, one may find Saracens and Christians, men and women, as well as spells and incantations for the health of people and of animals. Through close reading and contextualization, they can elucidate the lives of individuals performing curative activities outside of the major civic centers of Catalonia before the arrival of the plague – what types of diseases did they treat, and how? If caught, what punishment could they expect from the ecclesiastical judicial structure?” Hence, Rachel demonstrated how these records sit at the juncture of vernacular medicine, episcopal control, and inquisition. We reached out to Rachel and Christine for details about their work and how they developed the ideas and research for their papers. 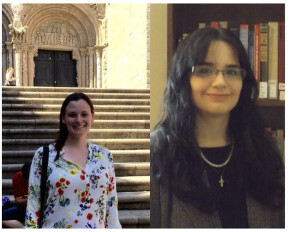 Fordham History Department’s own Esther Liberman Cuenca was recently awarded the Schallek Fellowship, a one-year grant of $30,000 to support Ph.D. dissertation research in any relevant discipline (art history, literature, history, etc.) dealing with late medieval Britain (ca. 1350-1500). Not only is this a prestigious honor but it will allow Esther to conduct research critical to the completion of her dissertation. 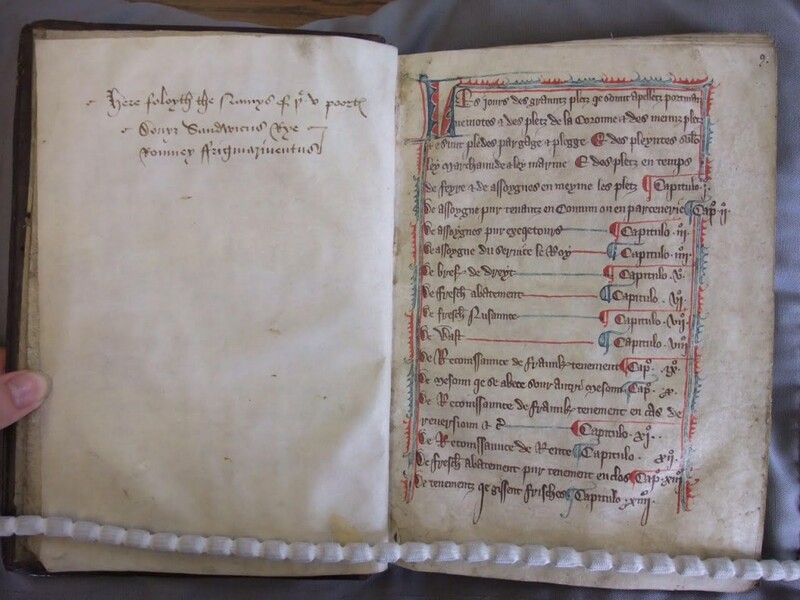 Esther’s research focuses on the development and evolution of borough customary law in medieval Britain. Borough customs were practices or traditions that over time acquired the force of law within the town. Her analytical goals are twofold: to contribute to a deeper understanding of the place of urban customary law within the British legal system, and to reveal custom’s role in the emergence of a distinct bourgeois identity in medieval Britain. Borough customary law has received little scholarly attention because of its scattered distribution in many local and county archives; the need for multi-lingual expertise in Latin, Anglo-Norman French, and Middle English; and the difficulty of dating customary clauses and ordinances from multiple iterative copies. 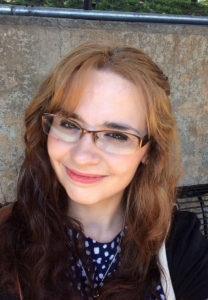 Since she reached ABD status at Fordham in 2012, Esther has been teaching multiple courses at Marymount California University and this fellowship will give her the opportunity to focus fully on completing her dissertation. She plans to spend the 2016-2017 year living in England where she can complete her research at the Bristol Record Office and London Metropolitan Archives. In 2013, Esther was also the recipient of the Schallek Award, which is a small grant of $2,000 to help students cover research expenses. “The Medieval Academy/Richard III Society have been very kind to me! 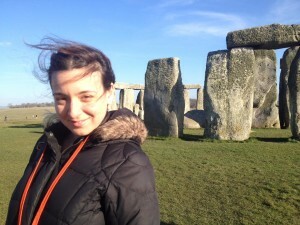 And I’m very grateful that they’re supporting my research,” says Esther. The History Department is grateful as well, and very excited for Esther to seize this opportunity!